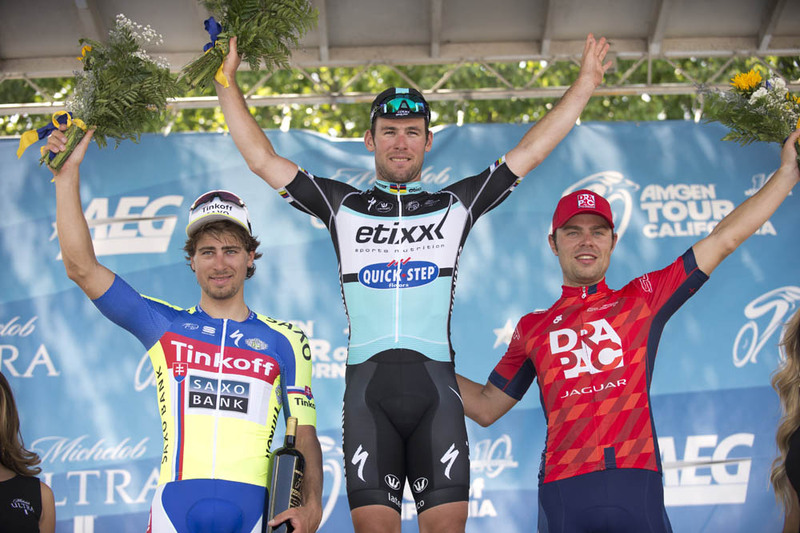 Mark Cavendish (Etixx-QuickStep) claimed his second successive stage victory in the 2015 Amgen Tour of California, taking a narrow bunch sprint victory over rival Peter Sagan (Tinkoff-Saxo) on stage two in Lodi on Monday. Dutchman Wouter Wippert (Drapac) placed third with an impressive finish that nearly caught out Cavendish and Sagan. Cavendish’s win and bonus seconds mean that he extends his overall race lead over Sagan to 11 seconds. It also means that the Manxman draws level in terms of 2015 race wins with Norwegian Alexander Kristoff (Katusha), with both riders now having 11 victories apiece. 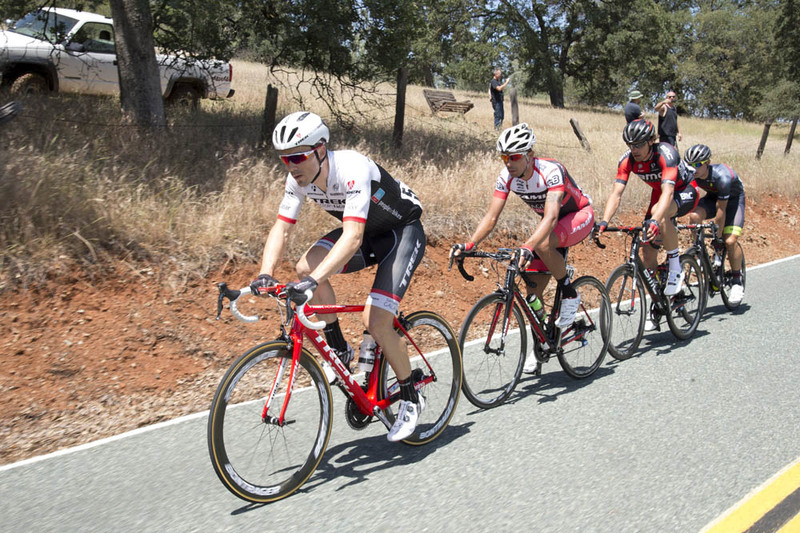 The day’s action kicked off when experienced duo Markel Irizar (Trek Factory Racing) and Daniel Oss (BMC) instigated the break of the day, and were soon joined by Robin Carpenter (Hincapie Racing) and Luis Romero Amaran (Jamis-Hagens Berman) to form a quartet. 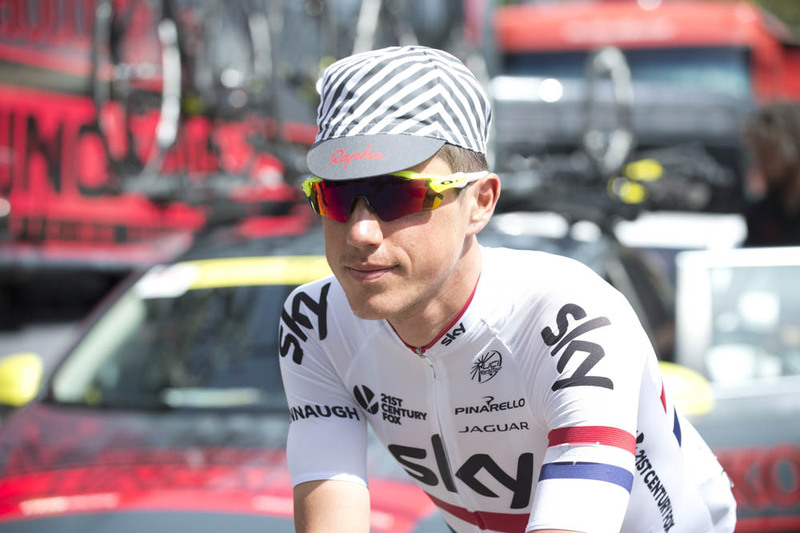 Carpenter attacked his three companions before the day’s only King of the Mountains summit – CA49 – to claim maximum points and the mountains jersey. At this point the break had just over five minutes on the peloton, led by Cavendish’s Etixx-QuickStep team. 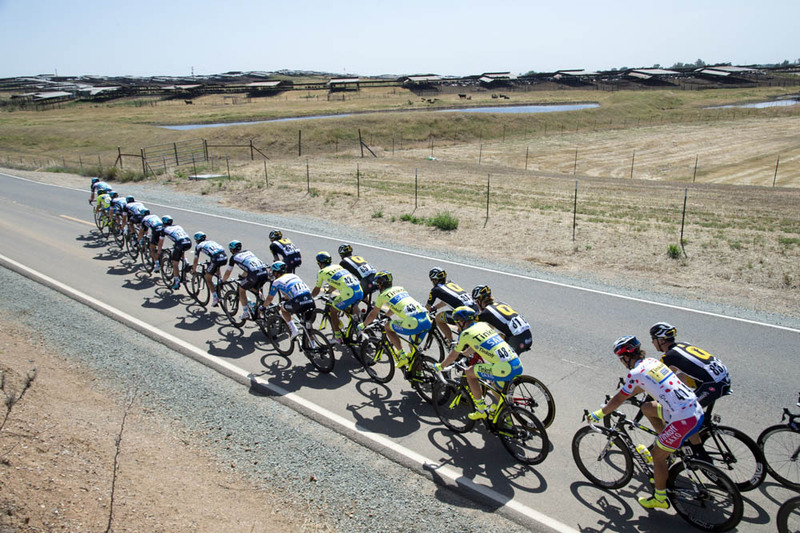 Etixx and Tinkoff-Saxo continued to drive the peloton along throughout the majority of the remainder of the stage but the break’s time gap only started to be reduced at the race hit 25 kilometres to go. A crash in the peloton with 10km to go saw French overall contender Warren Barguil (Giant-Alpecin) among those to hit the deck, with the incident splitting the bunch. Barguil remounted, but could only slowly made his way to the finish, his hopes of a high GC place dashed. Romero dropped out of the break in the frantic final kilometres as Oss, Irizar and Carpenter attempted to cling onto their lead. Behind, the Drapac team had joined Etixx and Tinkoff in winding up the chase and the lead trio were finally caught just inside the final 5km finishing lap. Several tight corners served to disrupt the order of teams’ lead-out trains but the experience and discipline of Etixx and Tinkoff saw them keep Cavendish and Sagan up near the front. However, Cavendish found himself without team-mates when Mark Renshaw swung off early in the finishing straight. Instead, he elected to follow Sagan’s wheel as Wippert initially led the charge to the line. As Wippert faded, Sagan and Cavendish emerged either side of him to fight it out for the victory. It was neck-and-neck, with both riders lunging their bikes forward over the finish, leaving no time for celebration for Cavendish. “Going into the last corner Sagan made sure he was ahead of me, but I was happy to be on his wheel,” said Cavendish “It was a headwind finish. I took a quick glance and I saw a Drapac rider come up [Wippert]. I tried to go around but was a bit closed. I didn’t give up and I went again. On Tuesday, the race heads south for stage three, starting and finishing in San Jose. It’s a tough stage, with plenty of climbing including an ascent of Mount Hamilton around 55km before the finish. Once the riders have crested the summit, it’s largely downhill back into San Jose before a cruelly-placed final climb to the line. It should be the first opportunity for the overall contenders to show their hand, and the race lead is very likely to change hands.